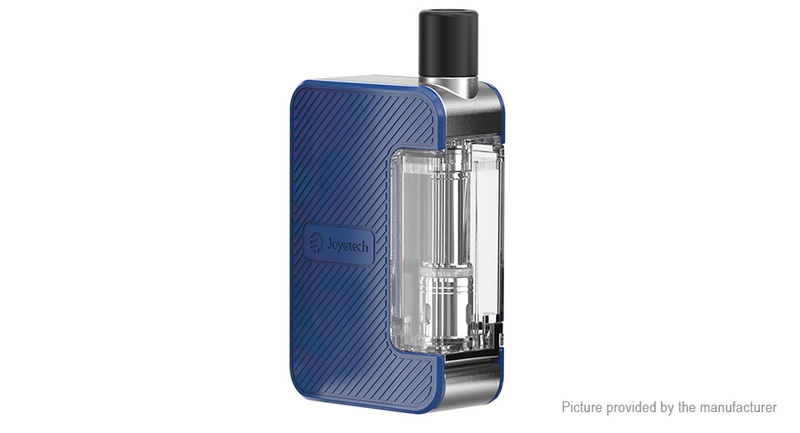 Joyetech Exceed Grip Kit is the latest member from the Joyetech Exceed family. Powered by 1000mAh built-in battery, it supports intelligent variable voltage output and the power output can reach up to 20W. In addition, each set includes two kinds of Exceed Grip cartridges, a 4.5ml standard cartridge with a pre-installed 0.4ohm EX-M coil and a 3.5ml pod cartridge with an integrate 0.8ohm mesh coil. Together with the innovative dry burning protection and super easy refill system, it can bring you a different and safe vaping experience.